AuctionHouse allows players to list items for sale on an auction house accessible with the /ah command. The plugin is new code and only shares a similar look and feel as the inactive plugin resource AuctionHouse. Support for HeadDatabase heads as buttons. Support for custom skull textures as buttons. Supports player head for the player listings button. *Note: the preferred method for setting maximum listings is to use player meta if your permissions plugin supports it. Meta will superceded permission settings if set for a user or a user's group. Also, permissions will supercede the defaultMaxListings value set in the config. To use meta, you need to have a compatible permissions plugin that supports setting and removal of meta such as PermissionsEx or LuckPerms. There is no support for drag-and-drop of items. The plugin is provided AS-IS. This plugin currently supports version 1.13.2+. Features may break if used with other versions of Minecraft than intended. It takes a lot of tasty coffee to keep cranking out quality code. eUipKh, TiroZit, ZathrusWriter and 4 others like this. Yes, reputation is important, but shouldn't expect a native 1.13.2 plugin to have earlier version support. 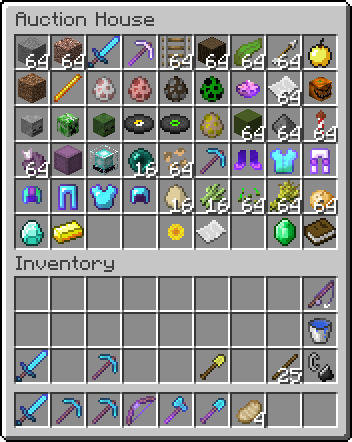 The plugin was designed around 1.13.2 API, meaning it uses all the item naming from 1.13.2. I'm not ruling out that there will be no 1.12.x version, but would like to have 1.13.2 very stable, then I can consider a separate port of the plugin using the legacy API. The plugin is not really stable, but works fine and it's the best on spigot as far as I know. 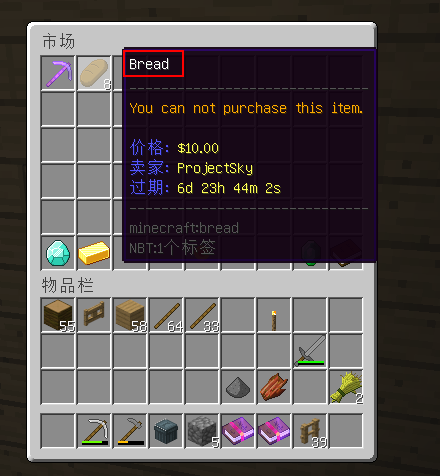 Just one complain, instead of making the items in the blacklist have that strange and useless format "item: minecraft:bedrock", can you please switch to simply the material id? For example " '0': BEDROCK ", and in my opinion the blacklist should be put in a separate file. What? No cheese on my free tacos? Buttons and Blacklist items can already match the upper case format. With blacklist wildcards, you don't need to specify as many. Will the plugin support more versions 1.8 and 1.10? the best auction house plugin, simple, clear effective. thank you to the developer ! The best plugin among all plug-insurances is also a very sociable and friendly developer of this plug-in. 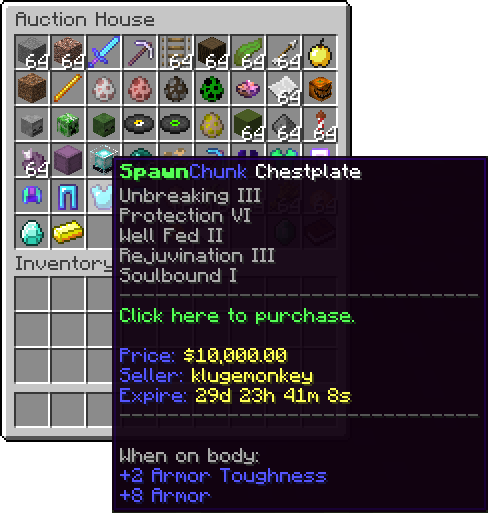 Really nice plugin, can you make a command less version?, so that an "OP / Admin" can put a block as an Auction House where the players interact. Btw, I am working in a spanish translation. OK, so have it so some blocks can be setup as auction houses. But players still need to use /ah sell <price> to make a listing. Need danish translations? I would be happy to help you with that! Thanks, feel free to post links to translations in the discussion forums for others to use. Great plugin. Can you add localization support for listed item names? And a small problem, https://dev.bukkit.org/projects/clicksort-lite Will cause the sell menu to be sort, resulting in an error. 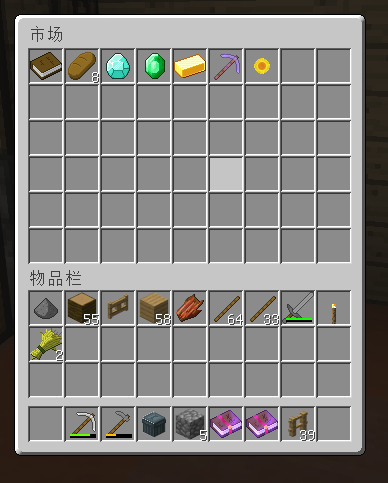 OK, localization is fixed for the localized item names and the chat item names. This plugin checks for inventory click events only on menus it has created. So if another plugin is sorting the menus we create, that plugin is not respecting others. Use XP as your currency with Vault! Better mechanics for leashing up your mobs!